Ya Jagoff!!! | There Is No Category For This! Home Driving Jagoffs There Is No Category For This! Vehicle #2: A second tractor trailer that knew how to cut the left turn wide but did it too early and SCREWED vehicle #1 and get back up. Truck #1 was trying to make a left turn up the bridge ramp. Unfortunately, he has no idea how to drive his big rig and, almost takes a piece the wall on the right side. So now he has to back up and figure it out all over again. But to add to the entertainment, Car #3 comes down the opposite ramp and really, really, really wants to turn left. But these dog-gone trucks are in his way. He can’t seem to wait because maybe his girl his having a baby or maybe he has to be on X-Box Live in the next 10 minutes for a tournament, so he tries to edge up and cut between the two tractor trailers. Everyone else is just waiting, waiting and waiting and waiting some more. To the driver of Vehicle #1, let’s CLEVERLY call him “Jack Knife” when your in your sleeper cab tonight, you might want to pull up some websites that say, “Learn How To Drive The Big Rigs – REMEDIAL CLASS.” And the driver of Truck #2, you might need a lesson in patience and a lesson in how many lanes are on a road. 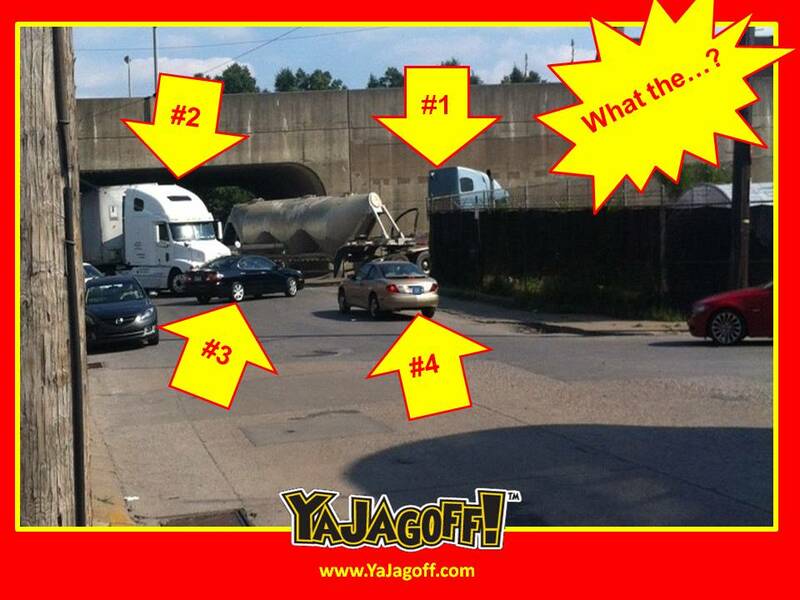 Car #3, you need a lesson in … well, NOTHING.. you’re just a Jagoff. You need to be TAUGHT a lesson. Car #4, can you please get out and kick the @#$@ out of the driver in Car #3 to teach him a lesson? In the meantime, can someone please get ther @#$@# together so the rest of us can get home, Ya Jagoffs! 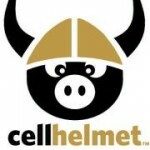 If you have no plans for Saturday OR if you have plans, even if you’re getting married, CANCEL to make sure you get to Cell Helmet Free Beer, Free Food Launch Party at Boyce Park. Click the pic below for details!